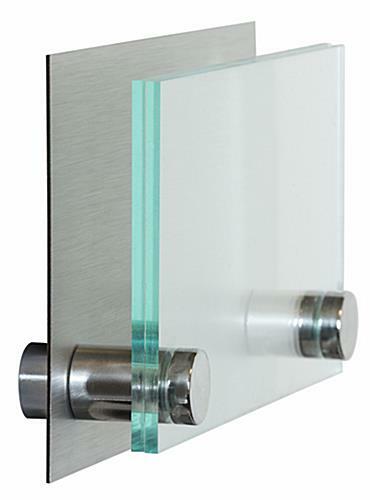 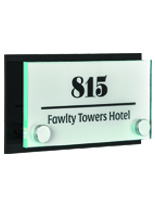 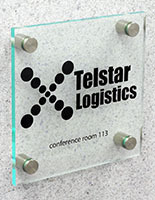 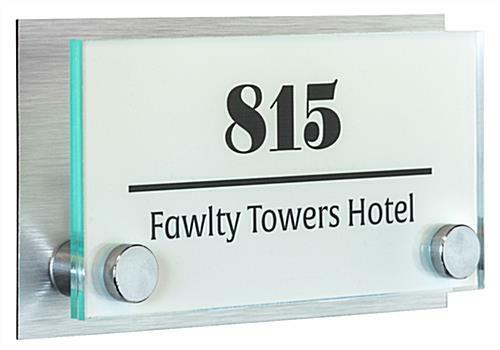 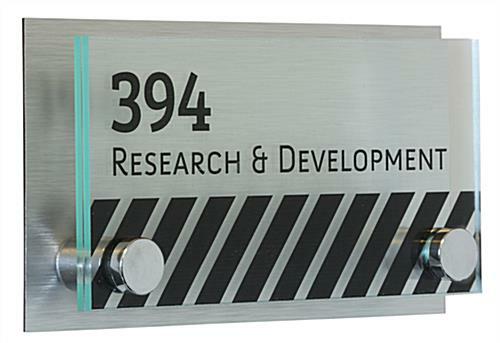 This door mount with sign standoffs and acrylic panels is the perfect wayfinding fixture. 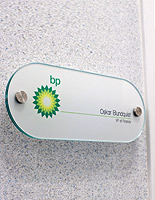 Install these name and number plaques throughout an office or corporate park to help visitors locate the professionals they need to see to do business. 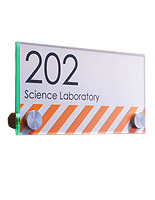 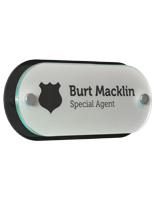 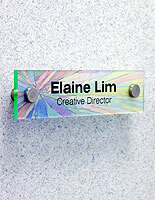 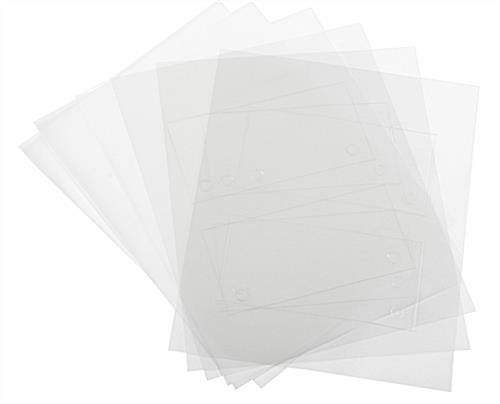 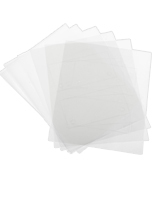 Customize this mount with sign standoffs using the enclosed printable sheets (three clear, three frosted). 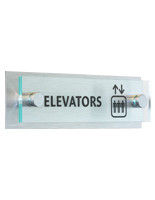 This mounting system with through-grips and brushed metal backing can be easily updated with new graphics by loosening the knobs. 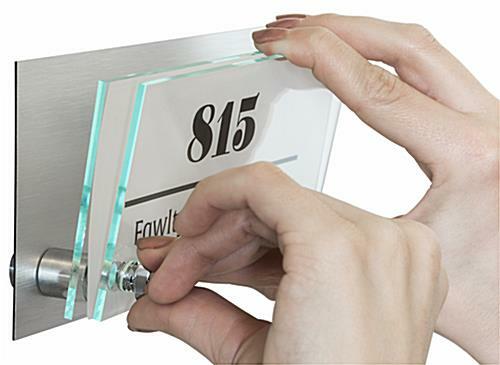 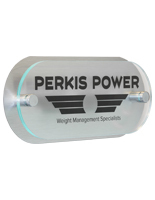 Decorators will appreciate a big savings when purchasing this door mount with sign standoffs in bulk. 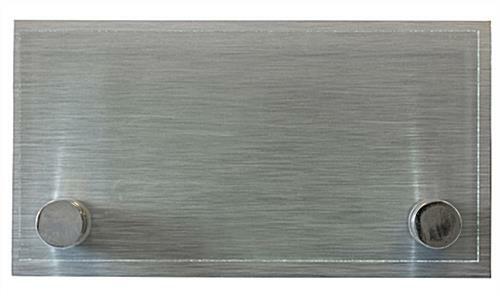 8.3" x 3.3" x 1.5"